In terms of schooling for children, Phnom Penh offers the widest range of options at international standards. 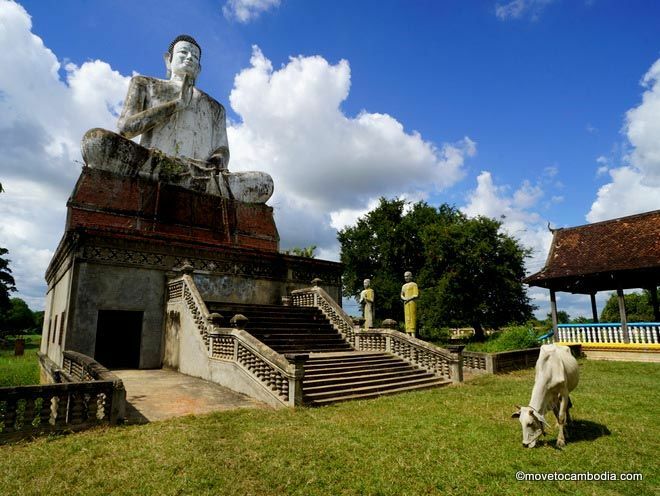 The Charming City offers the best schooling options in Cambodia, and there are a plethora of Phnom Penh international schools using American, British, and French curricula. In 2019 there are more accredited international schools than ever before. Don’t be fooled by the names, though; some of the worst schools in Cambodia call themselves “international” or “American” or “British,” but their curricula don’t match their titles. Local schools are best avoided if at all possible, as the standard of education is low. The ones we have listed here are “real” international schools. The International School of Phnom Penh (ISPP) has a beautiful campus with all the amenities. International School of Phnom Penh (ISPP) is a not-for-profit school that offers one of the best educational opportunities Cambodia has to offer. They are accredited abroad, offering International Baccalaureate programs through high school and a wide range of extracurricular activities. The school is housed on a gorgeous campus with an impressive range of facilities, from a professional-sized performing arts theater and swimming pool to playgrounds, computer labs, and sports fields. ISPP is committed to diversity and has students from more than 50 countries and many environmental and community initiatives, including local scholarships and teacher training programs. The school offers an excellent education for students aged 3 through 12th grade. Tuition cost is $7,700 to $24,000 depending on age and including capital fees. Australian International School of Phnom Penh (AISPP) is a member of the Australian International Schools Association (AISA) and is modeled on Australian independent education programs and offers International Baccalaureate education from early to middle years and will offer the diploma program and IBCP career-related program for upper years. The curriculum is taught by native English speakers; most are qualified Australian teachers, but there are also teachers from New Zealand, the United Kingdom, and the United States. The campus is new, large, and beautiful, and the list of extracurricular activities, from robotics and karate to French and swimming, is impressive. Tuition costs range from $5,000 to $22,0000, depending on the grade. Also popular with expats is the slightly less expensive (and more centrally located) iCAN British International School, which teaches a British curriculum for pre-school students up to grade 9. Their internationally focused program uses International Primary Curriculum (IPC), International Middle Years Curriculum (IMYC), and National Curriculum for England. Tuition starts at $5,000 and goes to $13,000 depending on age, that includes a yearly capital fee. The new Canadian International School offers a Canadian-style education. 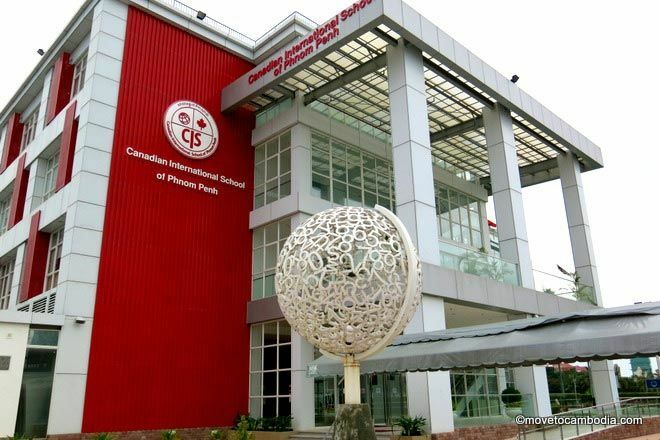 The Canadian International School of Phnom Penh (CIS) is an accredited school with three campuses that offers preschool through grade 8 for the coming year. There are plans to expand through grade 12 by adding a new grade each year. CIS offers a Canadian Curriculum from the province of Alberta, in English, with internationally certified teachers, many of whom are from Canada. 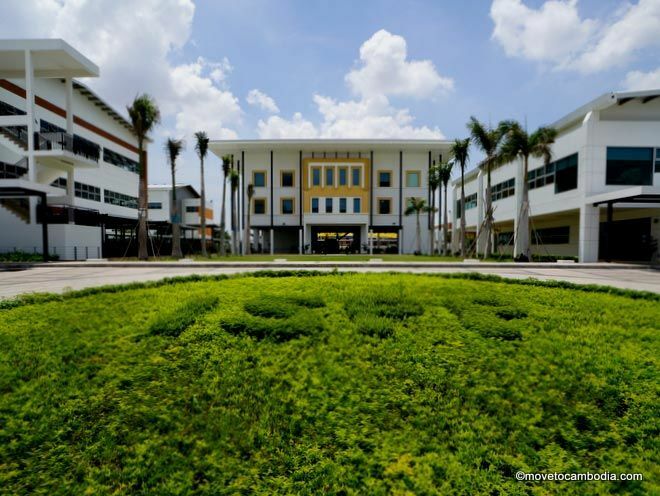 The brand-new main campus on Phnom Penh’s Diamond Island is impressive — even nicer than many schools in Canada — and is very centrally located compared to some of the other big international schools. They also have a new campus at Olympic City for preschool-aged children. Yearly fees start at $5,700 for nursery students up to $17,000 for grades 7 through 8. Northbridge offers International Baccalaureate programs through high school. The school has recently joined the Nord Anglia network of international schools — it is no longer owned by the Royal Group — and is leveraging the Nord Anglia relationship to bring even more opportunities to their students, including collaborations with Julliard and Barcelona Football Club. Tuition costs between $6,000 and $24,000 depending on the age of the student, including capital fees. The Lycée Descartes, a school licensed by the French government, offering international-quality education in English and French from pre-school through high school that follows the French national curriculum. Tuition ranges from $6,000 to $9,000 per year, and there’s a discount of around $2,000 if the student is Cambodian or French. Scholarships are available. Footprints International School is a popular school for expats not looking to break the bank (and who want their kids to learn to speak Khmer). Footprints offers a bilingual program in English and Khmer from nursery classes to grade 11, in several locations around Phnom Penh. The curriculum focuses on math, language arts, science and social studies, as well as computers, art, swimming, and more for an integrated approach to education. Footprints are Cambridge registered for primary and secondary, and internationally accredited through Western Association of Schools and Colleges (WASC). Prices range from $2,200 to $4,800 depending on grade. Logos International School is a Christian school that teaches students from pre-school through grade 12. The school is a fully accredited member of the Association of Christian Schools International (ACSI) and the Western Association of Schools and Colleges (WASC). The curriculum follows North American standards, and most of the teachers come from that continent. The school is known for solid academics, but can be a difficult adjustment for non-Christians — bible studies are mandatory. Annual tuition at Logos is $4,000 to $8,000 based on grade. Discounts are offered for large families and the children of missionaries. Brighton International School is a pre-school and primary school for children aged 2 to 7 in the heart of BKK1. Subjects are taught in English and Khmer, and the curriculum is based on the UK national curriculum, using the Early Years Foundation System (EYFS) for young learners. Despite its central city location, we were happy to hear that they have a swimming pool although we were less thrilled by the grammar and punctuation errors on their website. Fees range from $2,000 to $3,000. Started by two expat mothers who wanted to offer their children a true international education, The Giving Tree offers part- and full-time programs for children from 6 months through 5th grade. The primary program is supported by the International Primary Curriculum (IPC), and while classes are taught in English, it’s possible for students to study Japanese, French, and Khmer. Their teachers are from all around the world, and most are accredited in their home countries. Tuition ranges from $1,000 to $2,200 depending on age. Got kids? 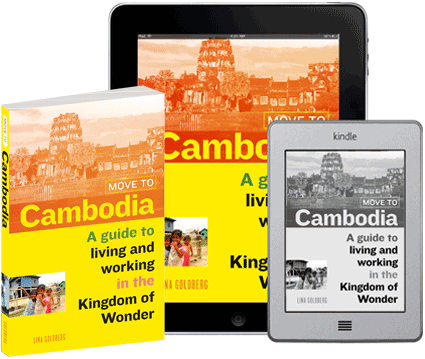 We have more information about activities for kids in Phnom Penh, and blog posts about raising expat kids in Cambodia.